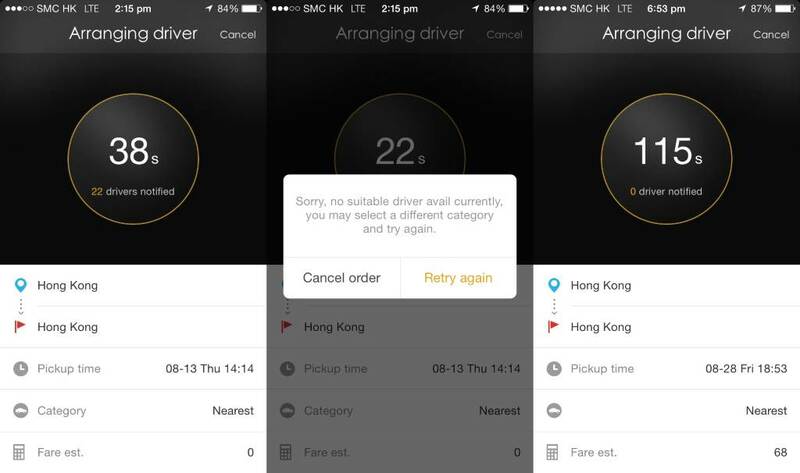 Uber has been in operation in Hong Kong for almost 1.5 years now (YES, they still operate in Hong Kong) and I am an user as of day 1 , with an average of more than 1 ride a day (500+ total) and I’ve seen a lot…. 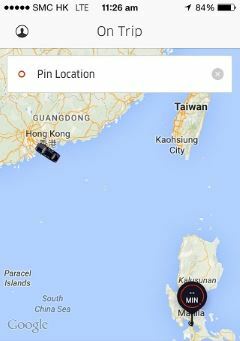 To be clear, I’m a strong supporter of the on-demand sharing economy, not particular of Uber, but I happen to live in Hong Kong and Uber was the first “on demand black car” app with just only recently joined by KuaidiONE. I’m not talking about taxi apps, there are many more and even earlier than Uber, but I’m talking about Private Car service in an act to try to prevent to buy my own car. So by lack of other options in that space it was Uber all the way for a year. Uber Hong Kong has seen their categories grow from UberBLACK to uberTAXI (sic) and UberVAN, in that order, over a year. Most of my rides were on UberBLACK, which has 2 sub categories: Sedan and 7 seater. Having done that many rides, I can tell you: it isn’t always failure free, but heck, what is? Serving staff at the local pub does on average a worse job at it. And yes, Hong Kong Taxis are widely available (with all their specific issues), but a person who says: “I don’t need an app, because there are always taxis available, never depended on taxis for their commute, especially from areas like Mid-levels, CDB, Quarry Bay, LKF, Cyberport, etc. In rush hour, taxi are hard (read almost impossible) to get, demand is much, much higher than supply. Not even talking about when it rains, and it rains (June has on average 19 days of rain) and most rains a torrential (June avg 426 mm). And I took the test recently, on a Friday morning, after the raid on the office of Uber in Hong Kong, the supply of Uber was low and surcharged. So I promised myself not to use Uber that day and see if I could get around by taxi. It was raining and in my street were no taxis available, so I walked to the beginning of the street, just before the usual supply of available taxis are being scooped up by the tower blocks of 6 high rises. I stood there for 15 minutes, no available taxi. I decided to walk even further to the beginning of old peak road (a road with a gazillion tower blocks). No. Available. Taxi. After 24 minutes I was able to get the first available on an officially non-stopping part of the road, but I thought: YOU ARE MINE! 24 minutes in the rain, walking, frustrating, even my umbrella was blown inside out by the wind. Good job on keeping the amount of taxi medallions low! That taxis are cheap, but with an expensive taxi medallion, also results in often low maintained, smelly cars. Taxi medallions in Hong Kong are now ~HK$7million (US$903,000). As for all starts it was rocky at times, where Uber used exclusively limousine companies for their fleet of cars (Mercedes S-class and Toyota Alphard). And because demand wasn’t high in the beginning, especially in the soft launch phase, it could take some time for a driver to show up. Especially in the beginnings with the limousine drivers they had a hard time on finding addresses and correct routes. They were used to driving from airport to hotels, but picking someone up in CBD and driving to a residential address is something different. It took some patience before that rather common issue to be ironed out. But a quick remark on the feedback of the ride to Uber would result in a correction of the fare in your favor. Of course the Hong Kong street layouts don’t help there either, where with the lots of one-way-streets a missed turn could mean a 2 minute drive around (or more). What is also an issue in Hong Kong is GPS, being one of the most dense cities, GPS is often incorrect, sometimes even 3 or 4 streets off. So quickly Uber implemented the policy of having the driver call directly after booking to confirm the pick up address, something that works well and prevents stress later in the process, but I’ve seen people remarking it as a nuisance, but it helped me a lot in a smoother user experience. I often send the driver a text message with the exact address directly after booking, also to keep some track if I had the driver before because of the text history. 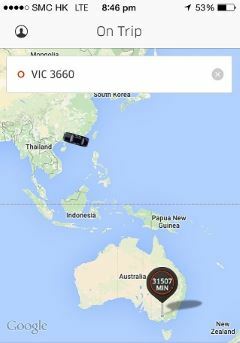 Sometimes when I say my destination to a driver, he uses the Uber app to find that destination, which isn’t always the easiest thing; I’ve been seen riding to The Philippines and even Australia. But those are minor glitches. Taking Uber often, also means you get drivers for a second, third time or even more. You can get to a stage where you only have to step in and say “home”, for instance the driver Fu, I had him 14 times in 2014. But the drivers I had in the first six months I have not seen in awhile. Most drivers are great guys (I think I only had a female driver once) and I like most of them. Hard working, service oriented, but also sometimes misunderstood, especially if their English isn’t the best. But the same accounts for taxi drivers. Most drivers are 5 stars material, some go the extra mile and if it is less than 5 stars it’s mostly because of (lack of) route knowledge or driving skills. They sometimes will personally ask for a 5 star rating, heck, one driver once called me 2 minutes after a ride, to ask me if I wanted to give him a 5 star rating…. And for the racing drivers amongst the drivers: driving too fast in Hong Kong makes no difference in total trip time, you are only at the traffic light earlier than the other cars. Especially in the beginning I questioned drivers a lot, call it discovery, from customer discovery, an occupational thing as a lean startup advisor and a curious mind. I learned a lot about the way Uber works and how the limousine business in Hong Kong works and how it changed. A lot of drivers bought their own Toyota Alphard and started as an independent driver. Which was a pity for me, because I like the comfort of the sedan. As true Asians, Alphards often get “pimped” with huge rims and lowered suspension, a combination with the poor road quality of the Hong Kong (often concrete) makes for a shaky ride. 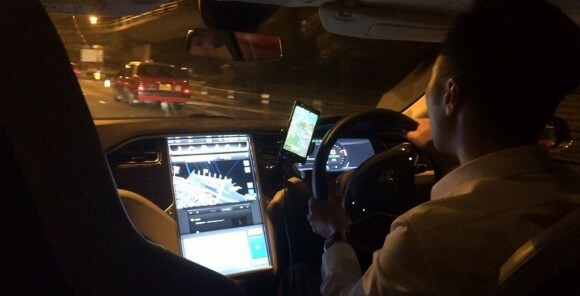 In the last couple of months there have been more and more Tesla Model S cars as an Uber. The profitable tax rate for an electric vehicle is helping. My guess is that at any given time there are at least 2 Uber Tesla’s on the road and in the evening and weekends even more. There are people with a dayjob who bought a Tesla to drive for Uber in the evening and on weekends, working (only) 25 hours a week making HK$7,000 – HK$8,000/week (US$900 – US$1,000/week). The biggest “issue” I had in the last year was the acceptance of vehicle types into the UberBLACK category. For most part of the year it was Mercedes S-class and Toyota Alphard all the way. The first “cracks” came when a BMW 5 series popped up. I have nothing against BMW 5 series, but I am 1.92 meters tall and legroom is a luxury I like to have and am expecting from a UberBLACK. 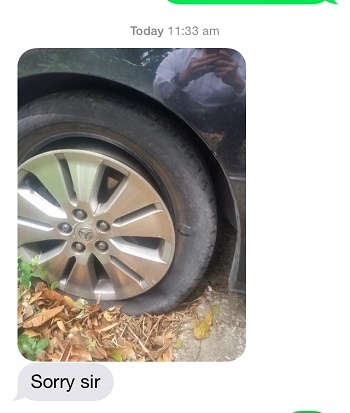 So when on a Friday afternoon a Audi A3 got to the doorstep, I complained. I need a shoehorn to get into the back seat of that! 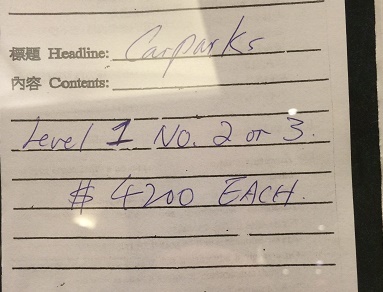 But maybe more important, the economics: a S-class is more expensive to buy and operate than an Audi A3, but I’m paying the same rate for the S-class I had that morning. I have no problem in paying a premium for my leg room, but I had no control over which car I could book because the UberBLACK was now filled with S-Class, A3, A4, E-Class and yes there was even an A-class, all for the same rate. I want that option, to be able to choose “the amount of leg space” and I am willing to pay a premium for that, like I do when I book Economy flight tickets with extra leg room, it makes the journey for tall people a little bit easier. And if I book an Uber for a business relation, I want him to travel “Comfort style”, not cramped up in an Audi A3. At the moment of writing this post, no such premium is an option on the Uber app, but I keep reminding them once in awhile. A friend was able to book one on the morning of their launch, and he told me he had a driver that also drove for Uber. I like the on-demand economy, food apps, e-commerce with same day delivery, for things I use/do on a daily basis and yes, a plumber app is not the same but still would be good to have. I sincerely hope for more options for the consumers to choose from in the next year. Overall after a year, I didn’t buy a car, used Uber for 500+ times and I would really hate it if a service like this wouldn’t exists anymore in Hong Kong because then I would need to buy a car that would be parked for 90% of the time. It really helped me and my family to be mobile at times we needed it. I hope to see more on-demand services in Hong Kong like AirBnb, Sam the Local and many others. Invest in Hong Kong taxi licences, up to 500% ROI: “thanks to the traditional features of the taxi industry, demand for taxi rental has been very stable”.